Treat yourself and your skin with this bronzing delight. 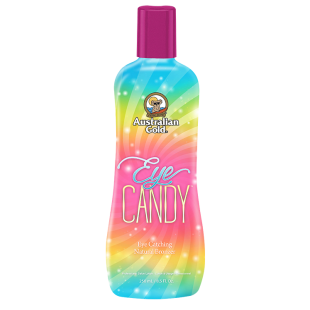 15x Eye Catching Bronzers combine a natural bronzer with DHA to give you instant gratification and longer lasting bronzer enjoyment. Guilt-Free Skincare hydrates and nourishes for an extraordinarily healthy glow. Caffeine invigorates and firms for improved texture and beautiful, dark results. Fragrance: Juicy Starburst.